Thanks to Apple's ARKit, augmented reality has been causing a stir for the past few weeks. Now Google has presented the world with a preview of ARCore, which means AR for Android devices without any further hardware prerequisites. What's the difference between AR and VR? ARKit was the big highlight of the recent Apple keynote where iOS 11 was presented. With ARKit, augmented reality apps become possible without any additional hardware requirements, apart from the smartphone (in this case, an iPhone). Google has long been working on the AR technology Project Tango, but Tango needs additional sensors in the smartphone called time-of-flight cameras. Currently, only the Lenovo Phab 2 Pro and the ZenFone AR have this. ARCore is completely software-based and does away with this requirement. ARCore is based on Tango technology. ARCore allows developers to develop augmented reality apps that run on a number of Android smartphones. The platform focuses on three main characteristics. First, tracking the movements of the smartphones with the camera and sensors allows virtual objects to remain in one place. Second, the platform can understand environments, allowing ARCore to recognize tables or floors. Third is light analysis, which allows developers to illuminate virtual objects according to the real environment. On the one hand the tracking of movements of the smartphone with the help of the camera and sensors, whereby virtual objects always remain in one place. Secondly, the platform allows the environment to understand. This ensures that ARCore can recognize tables or levels. The third feature is a light analysis, which allows developers to correctly illuminate virtual objects. It remains to be seen whether ARCore can match up to Apple's ARKit. ARCore is the next step in the AR space, so the platform will surely get more features. Google is looking into releasing browsers which bring ARCore into the mobile web, so websites could make use of ARCore without having their own app installed on a user's device. Google will first publish the SDK of ARCore as a preview, compatible with the Google Pixel and Galaxy S8 smartphones. Google will require at least Android 7.0 Nougat for compatibility going forward. 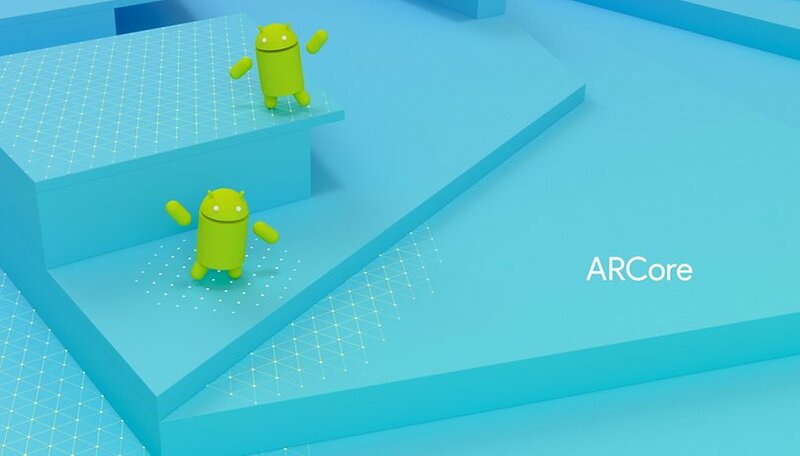 Google is working with Samsung, Huawei, LG, Asus and others to expand support for ARCore. It's impossible to say whether all Android smartphones with Android 7.0 and up will be supported, as Google wants to ensure a good standard of quality and performance. When the preview comes to a close, Google hopes to bring ARCore to 100 million smartphones. With ARCore, Google has found the right answer to Apple's ARKit. It's unknown how long ARCore will be available as a preview for developers. It's already possible to see some experiments made with ARCore. What do you think? Tell us in the comments. What happens to those folks that have purchased a Tango phone? This is why Google's commitment to hardware is laughable. Google will pivot in a heart beat to maintain feature parity with Apple's iPhone. Since Android is a phone platform and not an ecosystem, the AR mess of two competing AR ideas (tango vs ARCore) exemplify Google lack of focus and direction.